Shelley cartoons: Do you suffer from PPHWD? Do you suffer from PPHWD? 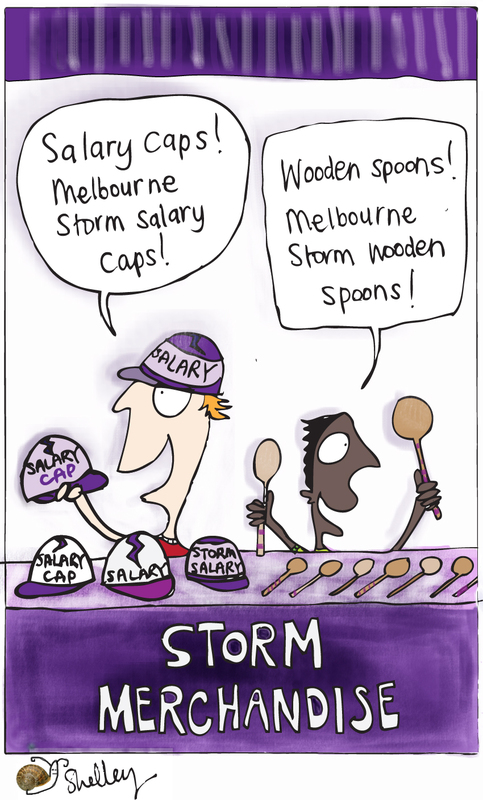 "Salary caps! Ha, ha, ha! What a fun thing to wear to the next Storms game! " Except you'd probably get king-hit by a fiercely-loyal-and-bleeding-for-the-club Storms fan. Hmmm. 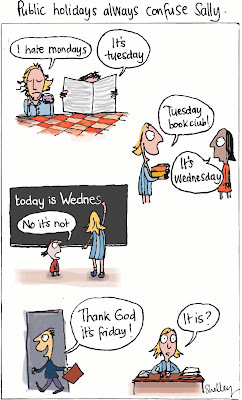 The second cartoon was drawn because Monday in Melbourne was a public holiday. 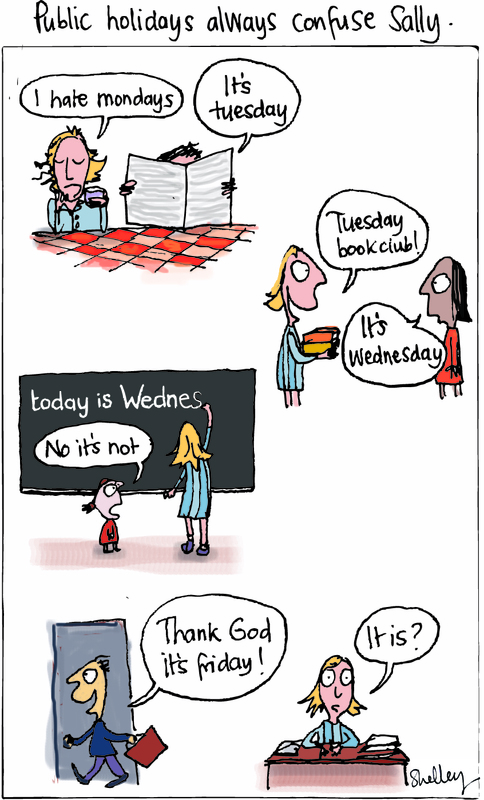 Which means that today is Wednesday, but it really really feels like a Tuesday. It sounds like a Tuesday (tinklier then wednesday), it smells like a Tuesday (sweet, hints of citrus and toast). Why oh why isn't it Tuesday? Suffering from PPHWD (Post public holiday weekday disorientation), it's a hardship to bear. Oh, I forgot to add...if you ever see a cartoon that you'd like reproduced as a card, postcard, t-shirt or framed print, then please send me an email. My Redbubble shop already has a selection of work but if you see anything on my blog that you'd like then I can make these cartoons into artworks for you. Let me know which cartoon you want and I'll upload the design to Redbubble. You can order and buy online, and have it sent to your chosen address. And it's very affordable ...postcards cost $2, cards $3. 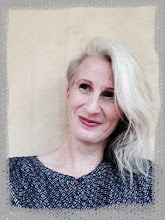 An email link is on the "About me" page of this blog, see the side-bar.